J. A. P. of Tottenham, Middlesex produced cinematographic equipment, internal combustion engines (JAP), and other precision engineering. 1895 John Alfred Prestwich, an engineer, founded the company when he was twenty one. The company was formed to produce scientific instruments and experimental apparatus and for machines for making and showing cinematograph films. 1902 Designed and built his first engine but it was not produced until 1903. 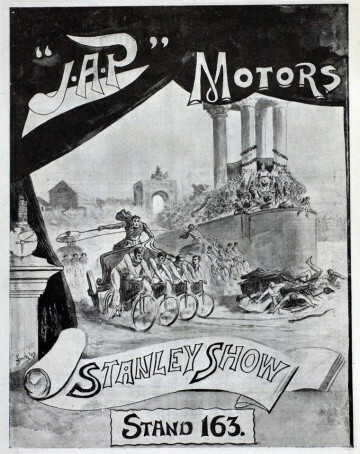 1903 First complete motorcycle shown at the Stanley Show. It had a BSA frame, sprung forks and a vertically mounted 3.5hp ohv engine. A single push-rod opened both valves, and the cam had track to pull and push as required. There was also a lightweight model fitted with a 2.25hp inclined engine. 1905 Motorcycles continued with a 2.5hp and a 3.5hp, as well as a three-wheeler. 1906 Made the first overhead-valve V-twin in 1906. Produced a 3.5hp single, a 6hp V-twin and a forecar having an 8hp three-cylinder in-line engine. Built a 660cc three-cylinder engine for Dennell. 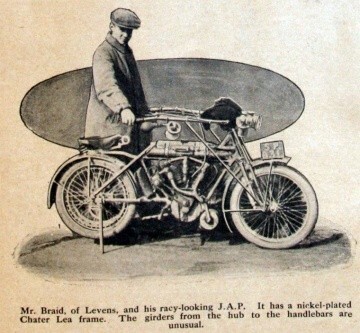 1908 The company stopped motorcycle manufacture in order to concentrate on engines. 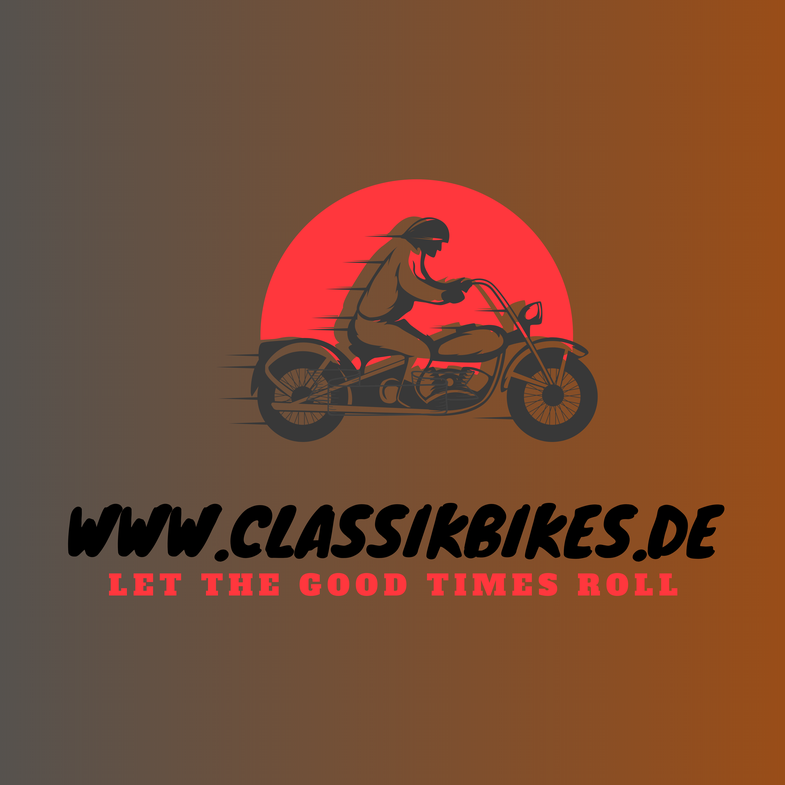 The engines were used in many famous motorcycle marques and other equipment, such as early aircraft, chainsaws, cultivators such as those produced by Rotovators and light rail maintenance trucks. The motorcycle engines were associated with racing success and were still used in speedway bikes well into the 1960s. Early aircraft were light and basic, and needed a reliable and lightweight engine to power them and JAP motorcycle engines were ideal. J. A. Prestwich at first would purely deliver the same engine to the aircraft manufacturer, allowing them to make local modifications - mainly larger venturi tubes for the carburettor, to allow for greater air intake at altitude. 1918 May 30th. J. A. Prestwich and Co incorporated as a private company to acquire the business founded by J. A. Prestwich. 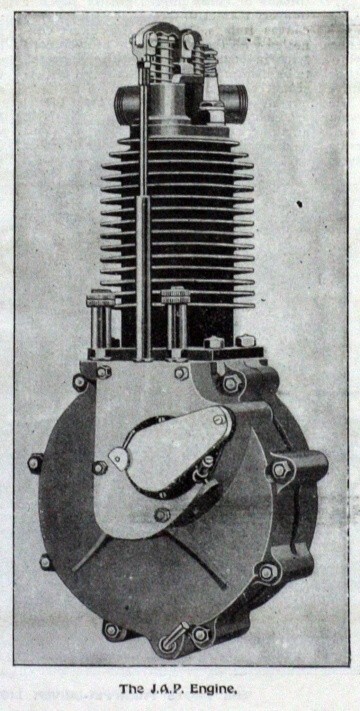 JAP patented a desmodromic valve design in 1923. Val Page worked for JAP before going to Ariel. 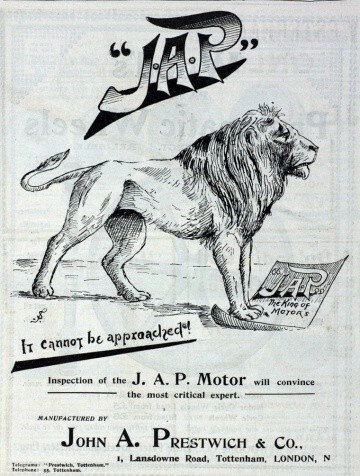 Very successful after World War I supplying engines for many manufacturers, but, as more companies developed their own engines, JAP relied heavily on industrial engine sales in the 1930s. In the late 1920s / early 1930s they produced various heavier engines under licence including those for the UK market for Light Aircraft Ltd's Aeronca light aircraft. 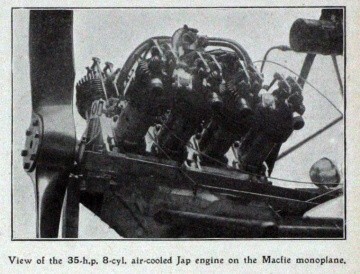 In light of JAP's development of high powered but light engines for speedway, some low volume pre-war car manufacturers, including the Morgan Motor Co and Reliant, used JAP engines to power their vehicles. 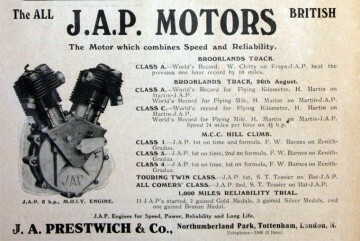 This use of the JAP extended into motor racing after the Second World War, with most were used in specialist UK lightweight formulas, or more extensively in Formula 3 racing after developments by John Cooper. 1951 April 23rd. J. A. Prestwich Industries incorporated to acquire J. A. Prestwich and Co Ltd and Pencils Ltd. Directors are John Alfred Prestwich, Chairman and MD; John Edgar Vincent Jobson; Edward Stuart Prestwich; Douglas Percival Prestwich; Gerald Winfrid Stanfield Bagshawe and Percy Gyllenship Langford. William Dodsworth Hine is Works Manager. 1961 Manufacture JAP stationary and motor cycle engines and Masters pencils. 1962 Engine manufacture moves from Tottenham to Wolverhampton leaving the Tottenham site to concentrate on sub-contract engineering. 1963 September. Announcement of the closure of the Tottenham works. 430 men will be made redundant. 1964 The company was completely absorbed by Villiers just as Villiers itself was to be taken over by Manganese Bronze Holdings. In its later life, J. A. Prestwich also produced components for other vehicle manufacturers, including the cylinder head for the Lotus Cortina version of Ford's popular car.